Where will the ceremony and reception take place? Make note of the venue’s décor and color scheme as you may want your wedding colors to blend with the aesthetics. How much time can we have for the event? If I’d like more time how much is each additional hour? How many weddings are held on the same day? If more than one event, is the venue available for private use, and what criteria must I meet to have exclusivity? Is there an in-house wedding coordinator, and will they be present on the day of my wedding? Can I meet them prior to the wedding day? Is there a bridal suite set-up for the bridal party to use for changing into wedding attire and freshening up? A groom’s suite? Do you have your own DJ/band, florist, photographer etc., and can I bring in your own professionals? Is the parking ample to accommodate the amount of guests I expect? When is the final guest count needed? 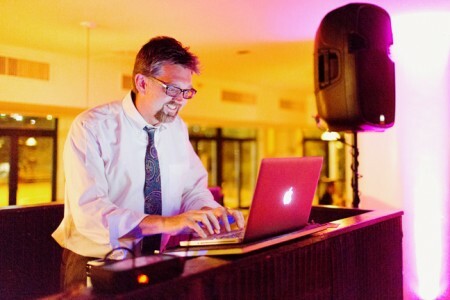 Does the venue provide meals to the DJ/band/photographer/videographer, or are they part of your guest count? What packages does the venue offer, and what do they include? Is there a choice of an open bar versus a paying bar, and how this is accounted? When is a deposit due? Is it refundable within a certain time period? When are further payment installments due? What flowers will be blooming if there are gardens? Can I see photos of different seasons? Are there any limitations on what I can utilize in my décor? Are candles allowed? Banners? Signage? Can I start setting up in advance? How early am I able to access the site for decoration, tent construction, or any deliveries? Are there any regulations or rules for usage if I choose a local park? Is there an alternate option at the park or outdoor space to hold an inside event, such as a clubhouse or pavilion? If there are no outbuilding opportunities for shelter, can tents be brought in? Are there are any restrictions on size? Where can they be set up? Can a portable dance floor be set up on a grassy area? Does the location have access to bathrooms that are clean and large enough for my event? If not, can portable restrooms be brought onto the location? Where can they be set up? Is there a power supply for catering, sound systems, lighting, and DJ equipment, or do I need to bring in a generator? What are the costs? When is the deposit due, and is it refundable within a certain time period? Some modern brides are choosing drama and unusual digs for their wedding locations, from a simple hall to transformation of a theme-event in such out-of-the-box locations as castles, libraries, office buildings, and barns . . . you name it. Does the facility offer catering, and can I bring in an outside caterer if I wish? What is the space allotment for musicians or DJ, photo booth, or any extras I may want to bring in? Are seating, tables, dinnerware and glassware, linens, utensils and tables provided, or are these items that will need to be rented? Can liquor be brought into the venue? Does the parking area offer sufficient space for the amount of guests I am having? Is there staff available for serving and cleaning up, or is this a responsibility of the renters? Will there be a wedding coordinator on staff for the entire event? If so, can I set up a meeting? Will there be more than one wedding or event at the location on the date reserved? If so, can an exclusive rental be made? If so, what are the costs? When are further installments (or the balance) due? When is a deposit due? Is it refundable within a certain time period? The 1850 House Inn & Tavern is an historic boutique hotel located in the town of Rosendale in the heart of the Hudson Valley and is the perfect location for an intimate wedding celebration. Whether it’s just the two of you or 60 of your closest friends and family, our brand new deck overlooking the Rondout River is the perfect choice for your wedding celebration. With ten comfortably appointed guestrooms and modern amenities, the Inn balances the old with the new to make your event everything you want it to be. An historic converted Catskill Mountains barn with breathtaking mountain and reservoir views in a quiet country setting. Decorated in rustic comfort reminiscent of the Adirondack “Great Camps.” Extraordinary Mountain Top setting with views of the Catskills, the Ashokan Reservoir, and the Berkshires. One of the most special places on earth for your special event. Barn on the Pond is an exquisite choice for your most memorable day. Spread out on nearly four acres of majestic landscape, it is anything but ordinary. In a time when everything is so commercial and every event blends in with the next, wouldn’t it be nice to have an affair to truly remember? 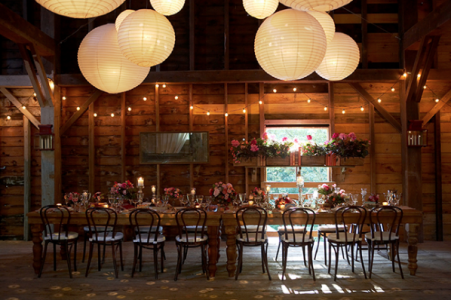 The choice is yours: a seasonal outdoor affair nestled in the glorious Catskill Mountains, overlooking their beautiful pond and wildflower meadow or a celebration in their turn of the century restored barn, designed with you in mind. Whichever you choose, it is guaranteed you and your guests will have a unique experience that will be cherished forever. Surrounded by lush vineyards and magnificent views of the historic Hudson River Valley, Benmarl Winery sets the perfect stage for your wedding day. The natural and rustic beauty at Benmarl creates a unique and unforgettable experience that you will remember forever. The Belltower, once a Reformed Church and a glass art studio since 1985, is a visually prominent 1896 Gothic-style brick building in the heart of historic Rosendale. The main nave was transformed into a vintage venue for weddings and other events for up to 120 guests. Its 20-foot high vaulted tin ceilings, an antique wood-staged pulpit, the1950s curved bar, original fir flooring, and a magnificent front window provide for an atmosphere of warmth and artistic chic for unforgettable celebrations. furnishings and Eastern accents make this the most romantic getaway. out-of-town wedding. 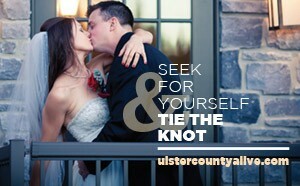 Rent a suite or the entire house for the wedding party to rest in luxury, elegance, and convenience. Grand Monarque Hall at Brotherhood, America’s Oldest Winery, is an early 19th century stone building with towering ceilings, wooden floors, exposed beams and vintage-wrought iron chandeliers, which come together in an historic “village” setting full of old-world charm. An equally grand 4,800 square-foot cobblestone patio surrounds a beautiful stone fountain, creating endless possibilities and a beautiful space with both indoor and outdoor capabilities. All events hosted on our property give you the ability to fully customize your special day the way you always envisioned. The vast Reception Patio with its broad Hudson River vista is available for up to seven hours until 10pm, in accordance with local zoning restrictions. The Barn at Buttermilk, a warm, inviting space, is versatile enough to be transformed into the epitome of country elegance or a welcoming space for large, casual gatherings. Catering services are provided through Henry’s at the Farm, their restaurant. Capturing hearts with a “Soho-in-Saugerties” feel, Diamond Mills Hotel & Tavern is the Hudson Valley’s new wedding destination. 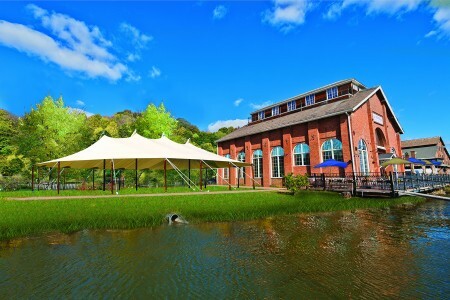 Nestled in the sleepy chic Village of Saugerties, Diamond Mills’ romantic setting overlooking the Esopus Falls offers a truly picturesque backdrop for a celebratory wedding weekend. Complete with 30 luxuriously appointed guest rooms, Diamond Mills serves many purposes, but is most importantly an elegant gathering place for friends and family to enjoy world class cuisine, breathtaking views, unparalleled service, and a once-in-a-lifetime experience from start to finish. Whether you envision a “destination” wedding or a smaller, more intimate gathering, to be married at the ElmRock Inn is truly unforgettable! Exchange vows under the gazebo, mingle with your guests over cocktails amidst the locust grove, follow with a reception on the great lawn, and dance the night away. Our experienced and professional staff at the ElmRock Inn is dedicated to making the wedding of your dreams become a reality...the possibilities are endless! 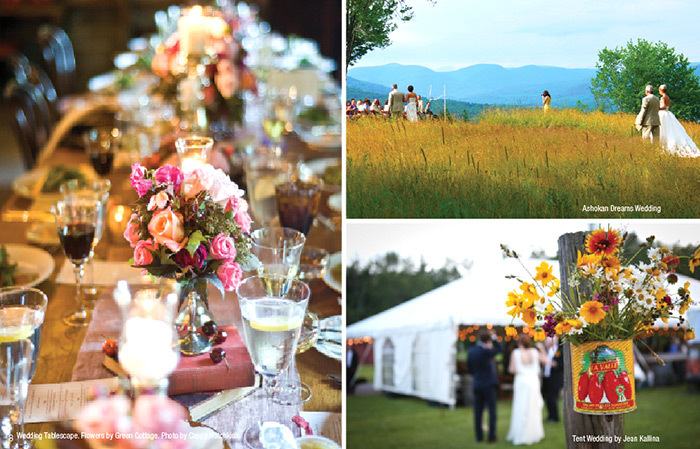 Choose the Emerson and celebrate your day in the beauty of the famed Catskill Mountains. The Emerson provides an outstanding location just two hours from New York City. We feature affordable accommodations, spectacular views, and many detail-oriented amenities for your special event. We offer both indoor and outdoor facilities with panoramic views of the mountains and the Esopus Creek. Depending on the venue you select, we can accommodate up to 150 guests. We also feature onsite catering, including freshly prepared cuisine and specialties made with local products. If a water-wedding experience floats your boat, Hudson Valley Cruises has just the boat to turn your dream into a reality. Whether a day or night cruise, this 125-foot long, dual deck cruise vessel is an exceptional way to start wedded life as it provides an intimate and relaxing ride along the Hudson River before any forthcoming activities, such as a reception or honeymoon. “Happily ever after” begins with a wedding at Hunter Mountain. No matter if your imagination takes you to a dramatic top-of-the- slope ceremony, a reception for 350, or an intimate gathering of family and friends, our dedicated staff will assist you in designing a seamless event. We custom-tailor each wedding to meet the desires of the bride and groom... and you may be surprised at how affordable your special day can be. The perfect location for an intimate wedding. Affordable luxury, peace, good company, and great food in a lovingly restored 300-year-old home. Beautifully designed rooms seamlessly blend the old with the new. 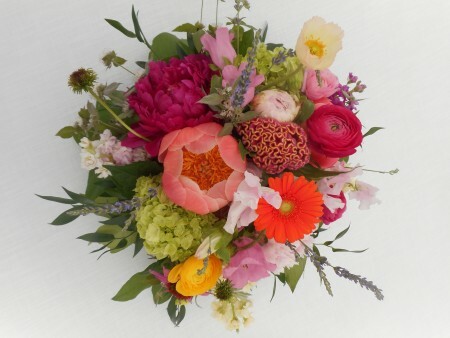 Home baked bread, fresh flowers, Frette sheets, gardens and creek... everything you need for an exquisite wedding day. Looking for a unique location with country style? You’ve found the right place. We offer beautiful indoor and outdoor options for your wedding, family reunion, birthday party, christening, weekend get-away, corporate retreat, or any event that needs that special location. If you want something out of the ordinary, give us a call. Come by for a visit and start daydreaming about how to create your memorable event. When you rent our Hudson Valley grounds, you’ll have acres of privacy with beach entry to our lake, paddle boats, and beach volleyball court, as well as plenty of room for a tent to accommodate your guests. Our unique accommodations are perfect for any party. Although this beautiful homey B&B is in a very rural location, there is always something to do and see all four seasons. 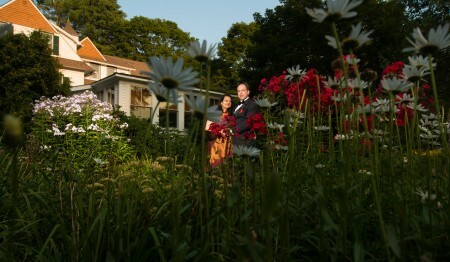 The charming country feel at this 1796 venue is perfect for a rustic and intimate wedding feel. 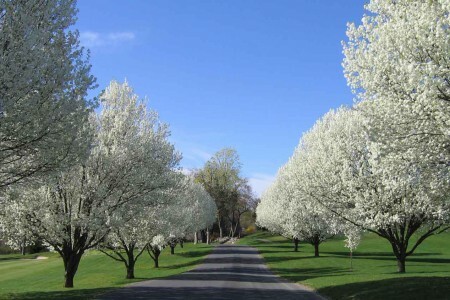 Enjoy the stunning views and atmosphere Wallkill has to offer, as well as its surrounding towns. A Liberty View Farm Wedding is a three-day event where you connect with family and friends on a much deeper level. Your wedding on our farm can be anything you want it to be–from an informal event to a magnificent gala with grace and elegance, and, of course, anything in between. Dance under the stars, enjoy the mountain views; you can even spend a few nights in our beautiful farmhouse. Privately, you and your guests have access to the orchard, edible landscapes, and flower gardens throughout the property. Picture the wedding of your dreams at Mohonk Mountain House. Their Victorian castle resort creates a romantic atmosphere that is perfect for wedding ceremonies and receptions. With over 40,000 acres of pristine forest, Lake Mohonk, and the surrounding mountains as your backdrop, an extraordinary day is promised. Exchange vows in their lush gardens or in the Victorian Parlor with unparalleled views of Lake Mohonk. Their staff will help you plan everything down to the last detail, from music to flower arrangements to cocktails and more. Exchange vows on the 90-foot deck, joined by your guests, while gazing over the Esopus Valley. Enjoy cocktails and appetizers on the terrace and in the 75-year-old Adirondack-style house. Dine and dance in the new 3,600 square-foot heavy-timber pavilion. Spend the weekend surrounded by family, friends, and memories. In addition to the wedding, you have the options of a rehearsal dinner or an expanded good-bye brunch the next morning. For on-premise events with party sizes of 16-30 guests, Peekamoose offers three-course pre-fixe menus that feature a variety of signature dishes. Each menu boasts the best of the season. 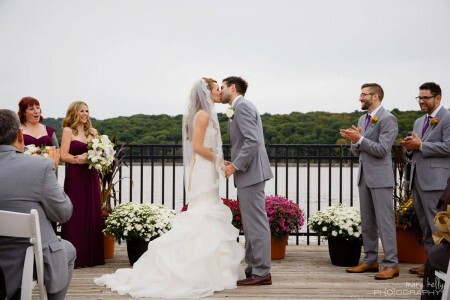 Have your wedding at The Rhinecliff–magical, unique, special, individual–everything we do is geared towards helping you to create your perfect celebration, the way you want it to be. All is custom, from your menu, to your drink selections, to your decorations, to your format; our mission is to help you craft the perfect wedding celebration, a reflection of you, the things important to you, and what you know will be important for your friends and family! Our farm offers private views, acres of rolling land, grazing horses and flower gardens in bloom; a perfect site for a variety of events, beautiful, relaxed and unpretentious. 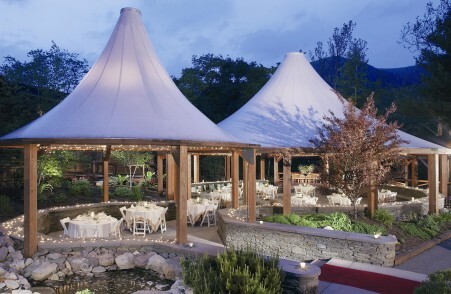 The hilltop settings are wonderful places to hold wedding ceremonies and receptions. Although we highly recommend Bridgecreek Catering and Gendron Catering, we are open to working with any caterers or vendors of your choice. Come get married on a horse farm! You and your guests will never forget it. Speak to the couples who have been married on our special farm and who have danced the night away under the glowing paper lanterns in the covered, weather-proof pavilion. 360-degree mountain views, grazing horses, and curious Guinea hens! We can work with you to help find caterers, bands, and photographers. With virtually no neighbors, you won’t be hassled about keeping the party going a little later. valiant. On the hallowed grounds of The United States Military Academy, our castle-like venue offers five star service, luxury accommodations, and extraordinary views of the scenic Hudson River. The Historic Thayer Hotel at West Point wants to be known as the venue that hosts the most memorable events in our guests’ lives. Tuthilltown Spirits Farm Distillery brings the tradition of small-batch distillation back to the Hudson Valley, producing the first legally distilled and aged grain spirits produced in New York since Prohibition. New York’s first Bourbon is Hudson Baby Bourbon, distilled from 100% New York grown corn. The farm distillery also produces Indigenous Vodka from apples grown at orchards less than 5 miles away, Half Moon Gin, Roggens Rum, eau de vie, brandy, absinthe, and liqueurs. A ceremony or reception on the banks of the Shawangunk Kill surrounded by a century-old milling history from 1788, is a most astoundingly gorgeous place to say “I Do,” with beautiful views of the river and the sounds of flowing water providing a tranquil backdrop to your day. A specialized events team helps arrange it all with superior service and amenities. Also a spectacular location for a rehearsal dinner. Tie the knot in our Garden Gazebo or lakeside with a backdrop of towering woodlands and the reflection of a pristine lake. Twin Lakes is a premier catering facility complete with cabins, two beautiful gazebos, a swimming pool, a banquet room, and an outdoor pavilion for your dining and dancing pleasure. When the evening’s festivities draw to an end, your closest family and friends can unwind around a campfire beneath a blanket of twinkling stars.